Want to export all the messages from your iPhone to your Mac? However, neither iTunes nor iCloud allows exporting the messages selectively from iPhone to Mac. 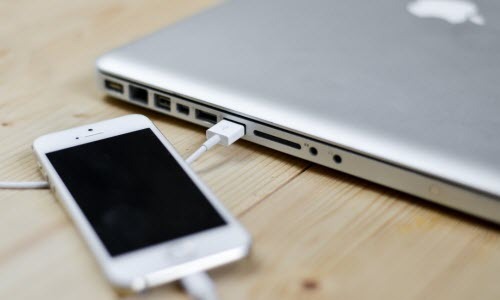 Fortunately, there are a lot of third party iPhone data recovery software which can extract the messages from the iPhone selectively to your Mac computer. Why it is necessary to back up iPhone messages selectively to Mac, since iTunes can back up everything on your iPhone to your Mac computer? Well, iTunes backup is not a readable file and unless you restore the backup file to your iPhone or other iDevices, it does not mean anything. Worse still, once the backup file is corrupted, you are out of luck to get back any data. 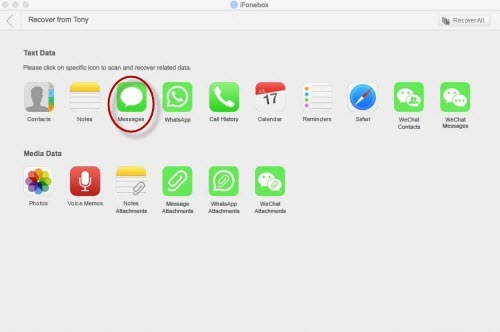 Here in this post, I would like to recommend iFonebox which is a renowned and specialized iPhone data recovery software and demonstrate how to back up messages with it. iFonebox is available for both Windows and Mac, please choose the right version to download and install according to what kind of computer you are using. > Choose Messages to scan selectively from the interface listing all the supported data categories. > Preview the exported messages and choose the items you want or simply check all and then hit the button of “ Recover to Mac” to transfer to Mac computer for backup. Once the recovering process is completed, you will be brought to the folder where the exported messages are located. If you want to print the messages, you can choose the HTML file. How To Sync Contacts Locally to Mac Through iTunes? This entry was posted in Backup/Back Up, iPhone, MacBook and tagged back up iphone messages, back up messages from iphone to mac by IosdroneD. Bookmark the permalink.